A little over two weeks ago, I started using the Inbox Zero technique. This was after realizing that 47,812 emails that I had in my inbox was not sustainable. Even my Outlook Search was having issues finding emails to which I would just spend hours looking for a needle in a haystack. Anyways, a colleague of mine suggested Inbox Zero. Here are my thoughts on this. The core concept of Inbox Zero is being able to immediately remove an email you just read once and put it some place logical enough that you can remember where you placed it sometime in the future yet not obsess over it by keeping in your inbox and constantly scanning over it again. Suddenly my Inbox is much more manageable. When you make it a habit to immediately do something with every email as soon as you read it, what happens is that you end up with emails left in your inbox that require you to take action on something. Sometimes, emails require more time, thought, and work than you have the ability to provide as soon as you read an email. With Inbox Zero techniques, this is OK, just leave the email there. The end result is a listing of emails that require your attention and no emails that don’t. In just the few short weeks that I’ve been using this method, I’ve already noticed a reduction in the amount of stress I have regarding email as a whole. I look at my inbox and see only 3 emails that I’ve already read but are waiting for my action, and know that I’m already working towards those emails. Sometimes, no emails require more work, and my Inbox is completely empty. Zero, zilch, nada… What a relief! Depending on just how many emails you have to start with, I highly recommend setting aside sometime to implement the Inbox Zero method. However, for people like me who have very little time to dedicate, I have come across a cheat that can start you off on a clean slate faster. It’s a secret though, so don’t tell anyone. My trick is… Create another folder called “Prior to Inbox Zero” and move your entire Inbox into that folder. Then forget about it unless you absolutely can’t find something! Okay, this might not be an acceptable approach for some people, however, the amount of stress that was caused just thinking about my Inbox of nearly 50K emails (and that’s only 3 months of email, I autoarchive everything else) caused me to put off implementing Inbox Zero for almost a year! 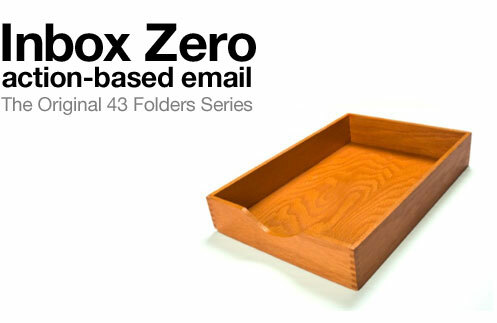 If you’re trying to start out with Inbox Zero the first thing you’ll notice is that you get tired of manually moving emails from your Inbox, dragging them to another folder, or using the move option in Outlook to them dig through your folder structure just to get it out of your inbox. The process is cumbersome. By Use It I mean using Inbox Zero and paying attention to it daily, multiple times a day. By Lose It I mean or else you will lose your mind because emails will pile up quickly and then you’ll have to spend 2 hours like I just did today clearing out your inbox. I’ve been busy the past week and let email collect in my inbox since last Monday. Slowly I had over a 1000 emails sitting in my inbox. I started feeling stress, so spent two hours filing everything. After I was done, I felt so much better, that I felt like blogging! Overall, I really like this process, however, I couldn’t have succeeded in following it without using a 3rd party tool. There is an AddOn to Outlook by TechHit called SimplyFile. It’s a couple $10 bills for the registered version, and I highly recommend it. If you don’t want to pay, the full feature 30 day evaluation is long enough to implement Inbox Zero and begin using it on a daily basis. Trust me when I say, you’ll want to purchase it.